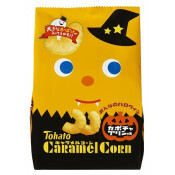 Nissin UFO Squid Inc Yakisoba..
Pretz Tomato Sticks Halloween Special 9 Individual packages Perfect for party or Halloween event! 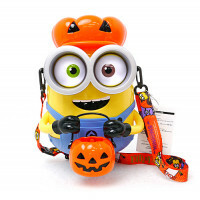 ..
Universal Studios Japan - Limited Edition 2017Minion - Bob Halloween Popcorn Bucket..
Nestle Kit Kat Iyokan flavor is a Japanese citrus fruit that resembles mandarin.The package contains..
MOGU People long arm is another limited version of MOGU People series. Now bigger, strechable and av..
Crazy Chili Tomato is a limited edition by Nissin foods. Comes in big size and with more chili..
Nissin Cup Noodles - Shrimp Creamy Tomato Nutritional information [per serving (80 g)]Heat quan..
New and limited edition of Nissin Cup Noodles presents with Spice Curry to celebrate the ''Curry Day..